With extremely low rates of breastfeeding in Louisiana, the Greater New Orleans Breastfeeding Awareness Coalition (GNOBAC) has been working with childcare centers to help promote breastfeeding in the New Orleans area. Using funds from the Office of Disease Prevention and Health Promotion (ODPHP), through the Healthy People 2020 Community Innovations Project, GNOBAC implemented a program called Support Breastfeeding and Childcare Centers. 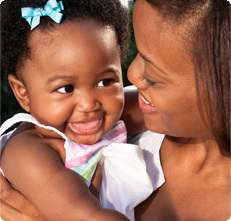 The program worked with 25 childcare centers in the New Orleans area to increase rates of breastfeeding and address the Healthy People 2020 overarching goals related to health equity and healthy behaviors across the lifespan. GNOBAC focused their efforts on childcare centers because "a large population of babies is put in childcare as early as 6 weeks," explained Caitrin Alb, Prenatal Program Coordinator at GNOBAC. The goal was to "educate childcare professionals about the importance of breastfeeding and to make childcare facilities breastfeeding-friendly." In childcare centers, the Greater New Orleans Breastfeeding Awareness Coalition makes the connection between breastfeeding and improved health of the baby, since "breastfed children are less likely to contract infectious diseases," explained Caitrin Alb. "In an environment with a lot of young children, increasing the number of breastfed babies can help decrease sickness in childcare centers." One of the ways GNOBAC worked with childcare center professionals to make their respective centers more breastfeeding-friendly was to provide training to childcare health consultants, who would then train childcare center staff on how to properly care for babies who are breastfed, such as how to feed them and how to store breast milk. GNOBAC partnered with the childcare health consultants because "a majority of childcare centers in Louisiana must receive a specific number of health and safety trainings per year to keep up with their licensure, and they receive these trainings through childcare health consultants," explained Ms. Alb. The training provided by childcare health consultants counted toward maintaining their licensure. The training "wasn't something extra that they had to do," continued Ms. Alb. Each participating center "received a toolkit with handouts that had pertinent information that they could use in their center such as how to avoid overfeeding the baby, whether it was breast milk or formula," described Ms. Alb. About 30 childcare health consultants, out of a total of 120 statewide, are now trained to conduct breastfeeding presentations with childcare centers. One important lesson GNOBAC learned was "figuring out how to get childcare centers interested and realize that they wanted this training," said Ms. Alb. Outreach to childcare centers required accommodating schedules and sometimes making multiple contacts with the busy childcare centers. The hard work of following up with childcare centers has paid off for Ms. Alb and others at GNOBAC. Now, 25 childcare centers in the New Orleans area have completed the training and are working to make their centers breastfeeding-friendly. Even as the Healthy People 2020 project winds down, GNOBAC has "a relationship with childcare providers now, and they know that this resource exists, and they know they can always come back to us to ask questions," said Ms. Alb. The mission of the Greater New Orleans Breastfeeding Coalition is to increase awareness of the benefits of and support for breastfeeding among persons of influence in the lives of mothers, children and families in Louisiana, and to partner with other organizations in creating a community where breastfeeding is the norm.